New for 2017 - the Pro Aero II is what happens when the Pro+ Aero Jersey and The Ultimate Road Suit get together for a nice evening without the kids. 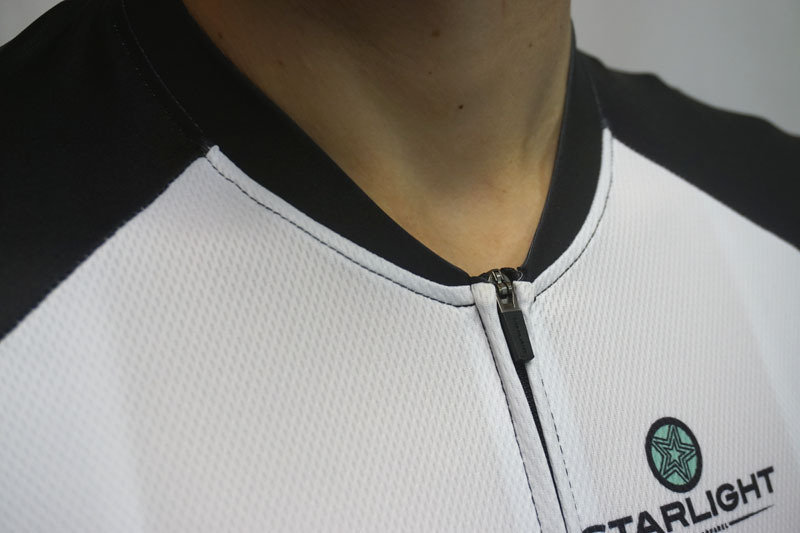 The 3d fit and lo-pro lycra collar come from the road suit, while the Pro+ Aero lends Coolmax main panels. 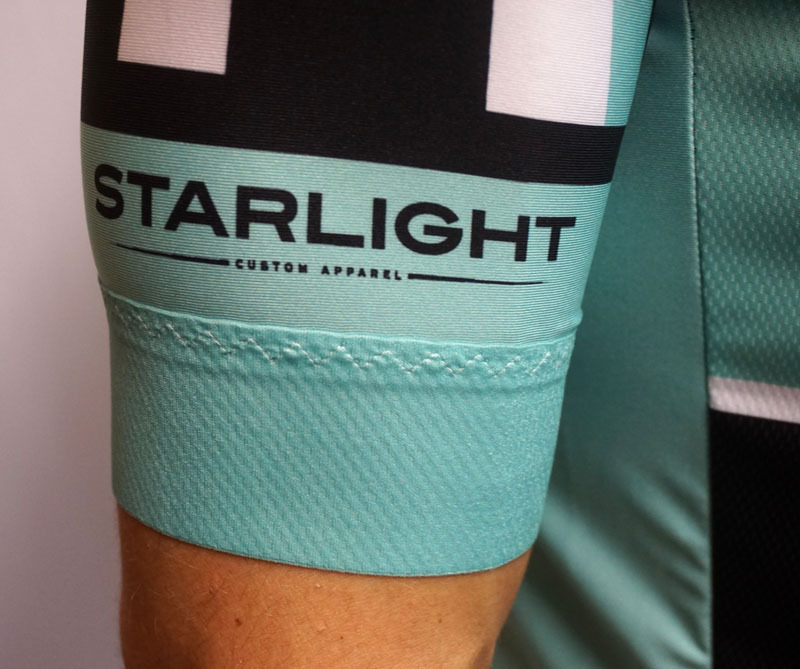 The almost elbow-length sleeves and 5cm power band opening give it a very Euro-Pro look. Male and female sizing available. Lo-pro lycra collar with Coolmax main body panels. 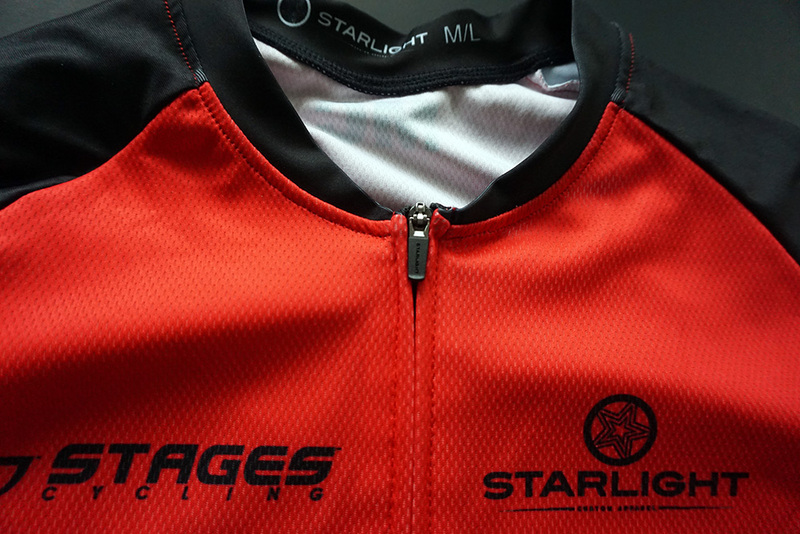 The jersey is available in male and female-specific race fit sizes. The Pro Aero II jersey and Pro+ bibs in action with South Carolina's Oceanic Racing. 5cm silicon-infused lycra power band with our exclusive zigzag stitch. Lycra side panels and Coolmax body panels. The Pro Aero II uses our new lo-pro lycra collar with camlock zipper.